Tooth whitening is one of the easiest and safest procedures in cosmetic dentistry. It is quick, easy, and painless procedure. It offers to patients with stained, discolored or yellowish teeth an opportunity to have a whiter, brighter smile. Whitening significantly reduces external surface stains affected by food and beverages. We provide an in-office light activated power bleaching system, which gives you instant brightening results just within 30 minutes. 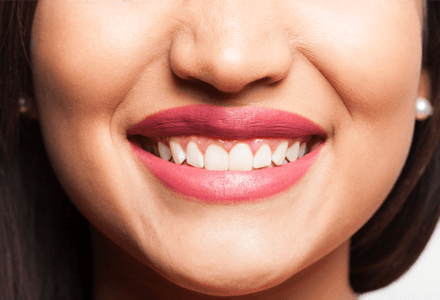 Teeth whitening is considered one of the safest way to get a beautiful smile. The procedure causes no pain and you can get rid of discoloring or staining on your teeth. As beverages and food reduce the whiteness of teeth, many people get this treatment time to time. Shah’s Dental Serenity is a hub where specialized dentists work together to provide long term treatment for a range of dental issues. This expertise also includes teeth whitening procedures that take not more than 30 minutes. Qualified doctors incorporate top-notch equipment and material to offer you a smile that you deserve. 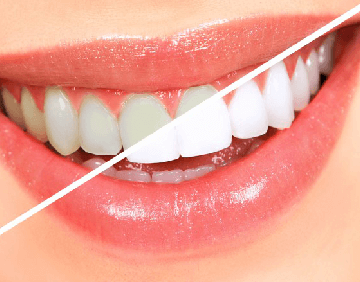 Choosing us for teeth whitening treatment in Mumbai, saves you a lot of effort and brings a variety of benefits. We align certified dentistry with world class tools, equipment and materials. Aesthetic beauty of your teeth receives top dental experts working in industry. Thorough procedure takes place in a convenient time period. You feel no pain at all during this small procedure. Teeth whitening has become a common treatment nowadays. However, you can leverage the benefits of this simple process only with modern-age dental techniques. And that is exactly what we are known for. Get a Dazzling White Smile that Keeps Others Hooked. If you are also thinking about having a teeth whitening procedure, wait no more. Our dentistry experts at Shah’s Dental Serenity can answer your queries and make you comfortable regarding this treatment.